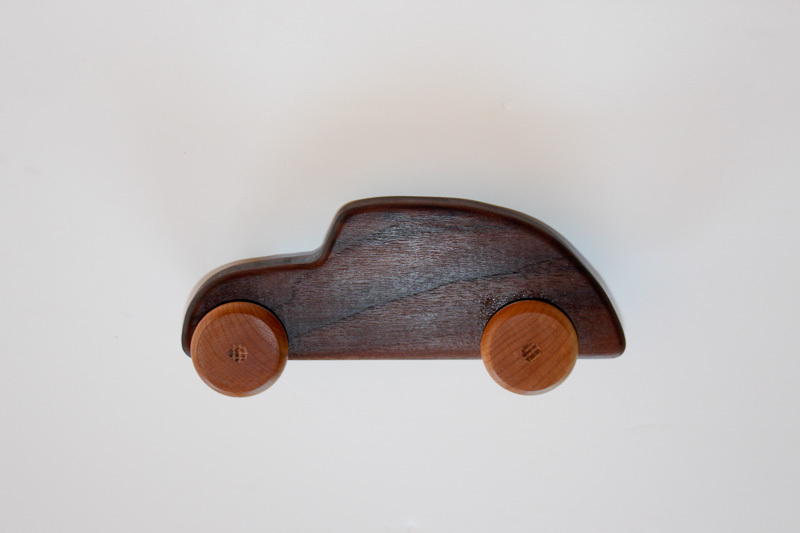 I’ve put up a few new wooden toys in my Etsy shop. Check them out, and keep them in mind as a gift for the next little one to join your or a friends family. 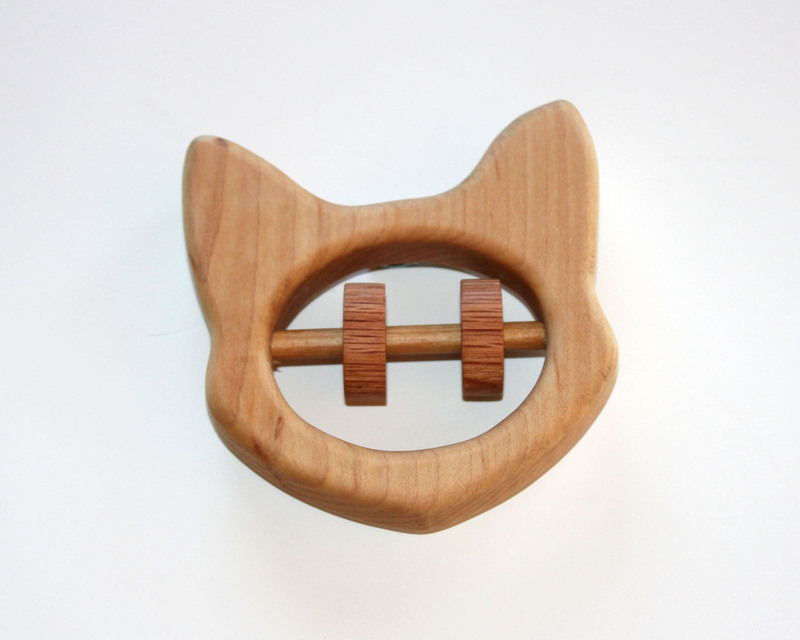 The two new featured toys are a wooden kitty cat baby rattle, adding one more to the baby rattles that are selling well, and a wooden car inspired by the classic VW Bug. Both these toys were inspired by little ones in my life. I was inspired to make this wooden toy car design based on the classic Volkswagen Bug automobile. One of my half dozen godchildren was in love with Volkswagen Beetles after watching the classic movie Herbie and the Love Bug. 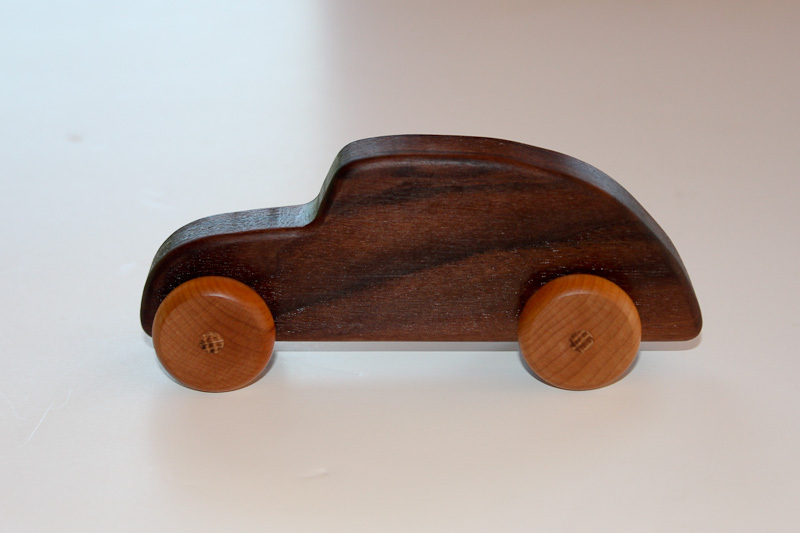 He would point out every new and old VW Bug he’d see, yelling out “HERBIE!” The wood used to make this wooden toy car is black walnut and has a nice rich dark color. This cute little wooden toy car is sized (6inches long by approximately 2.5 inches tall) only slightly larger then my baby rattles. This toy is designed for children of ages 9 months to 2 years. As with all of my wooden toys for children, it is finished in a non toxic mineral oil and beeswax finish that is child safe. If you would like to buy one of these they are available for purchase here on my etsy page. This cat baby rattle design came about when two very dear friends shared the good news that they were expecting a little one by asking me to make them a kitty cat baby rattle. My wooden baby rattles are sized perfectly for a baby to grab, rattle, and play. 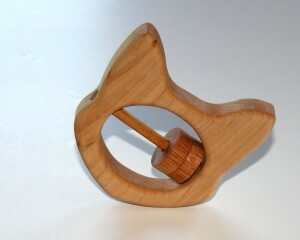 I make these wooden baby rattles from maple and oak. I use a safe non-toxic natural beeswax and mineral oil finish so baby can safely play with and teeth on them without concern. They have been kid tested and mother approved. If you’d like to buy one it is available here on my etsy shop. 2. What is the age range? 3. What is the car’s construction materials? I would like to have this answered by the working day Monday. 2. The age range is whatever a parent deems appropriate but I’d say 1-4 is the target age. 3. 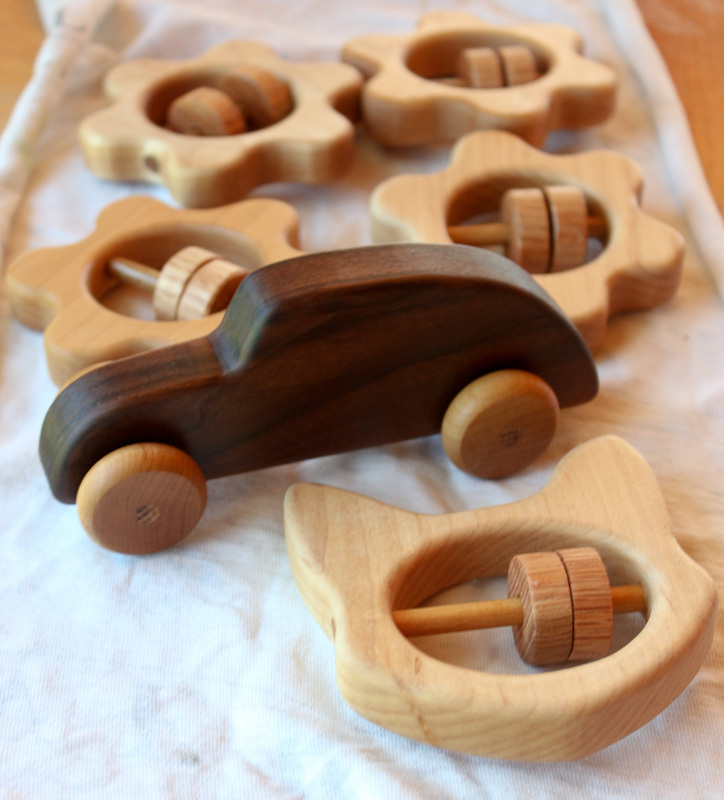 The materials used in it’s construction are black walnut (for the cars body), Maple for the wheels, the axles are oak, and the finish on it is an a non toxic child safe finish made from mineral oil and filtered bees wax. I hope that helps your assignment.